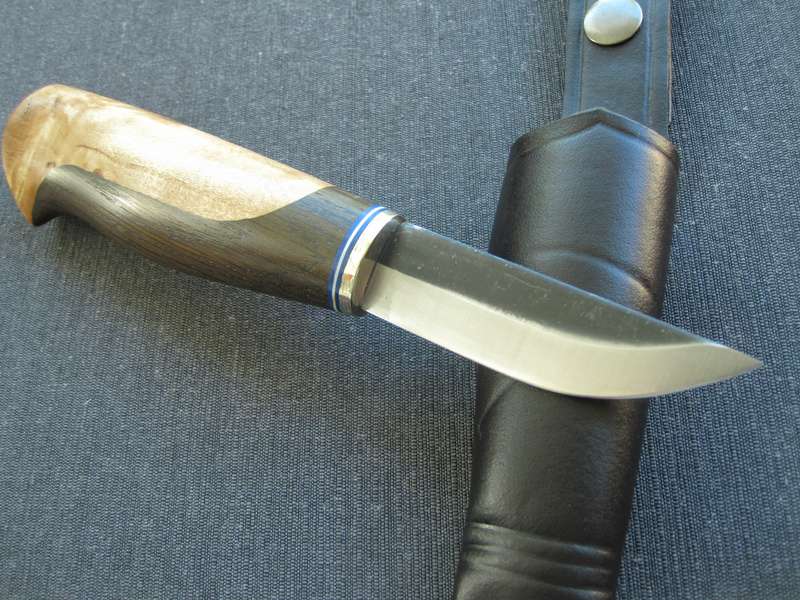 End plate antler, brass pins. 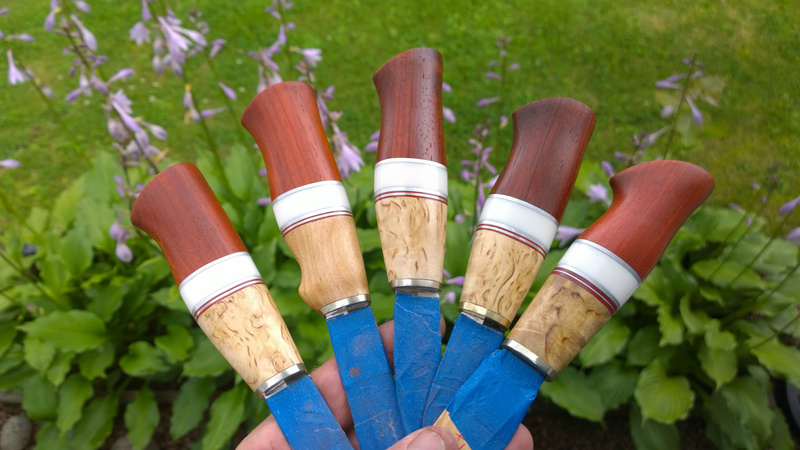 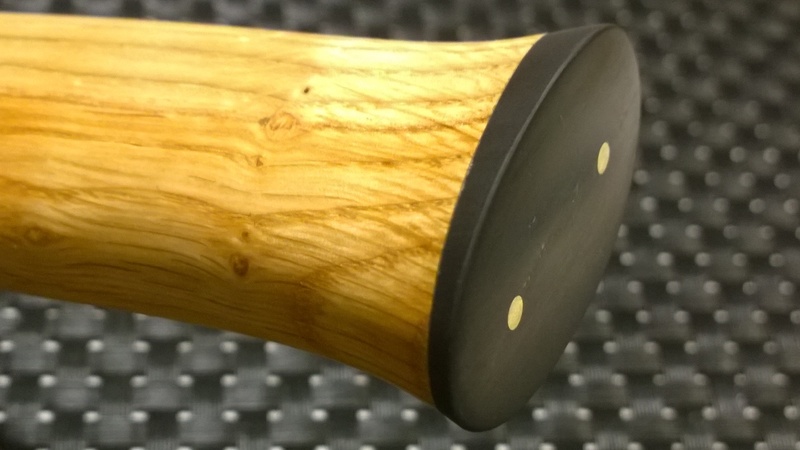 Oak handle. 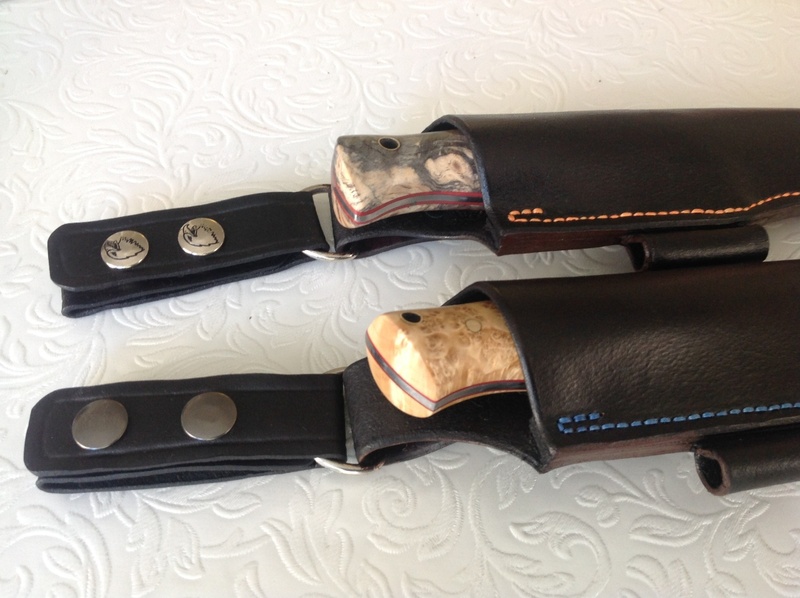 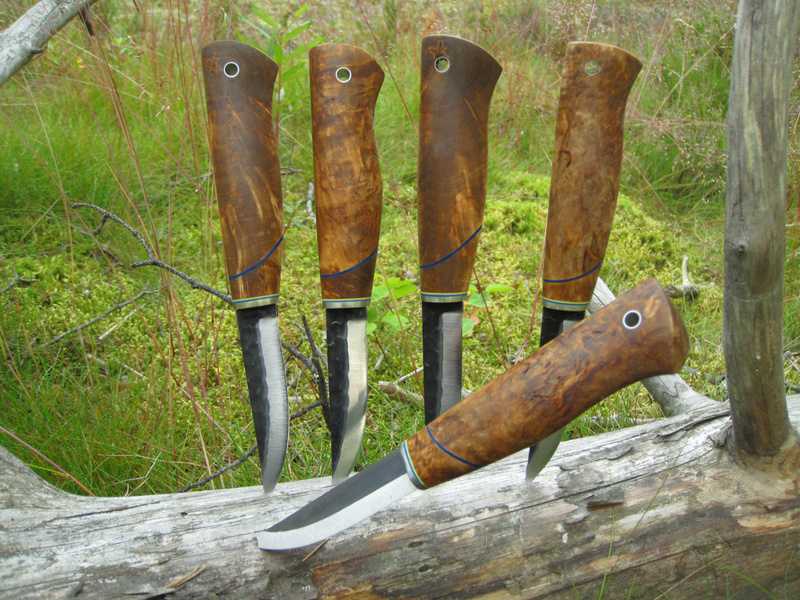 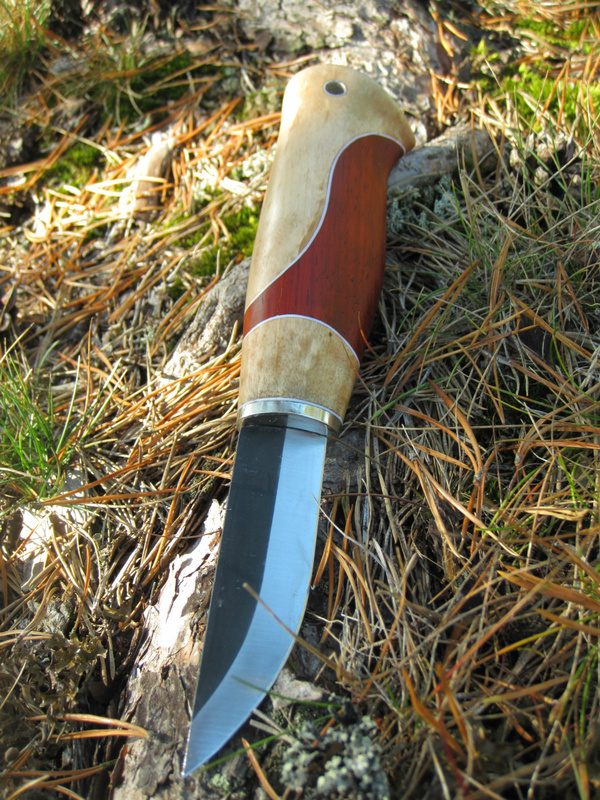 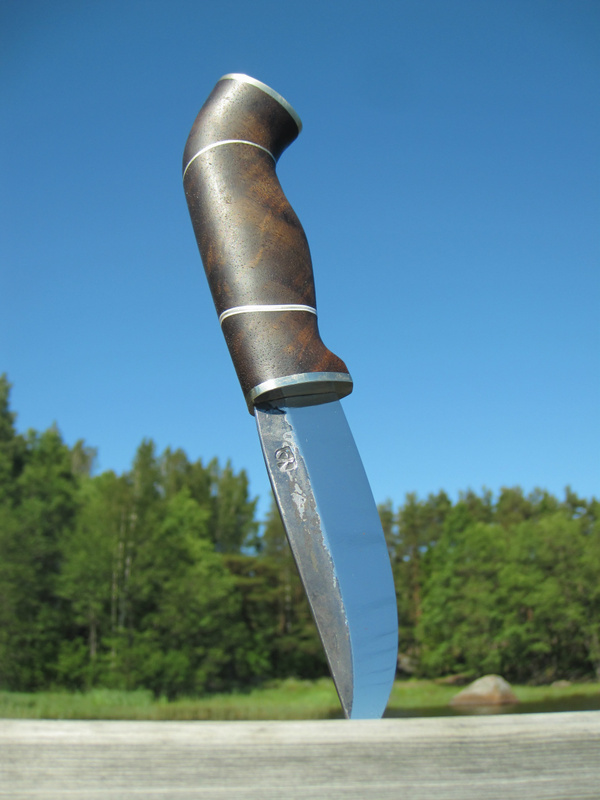 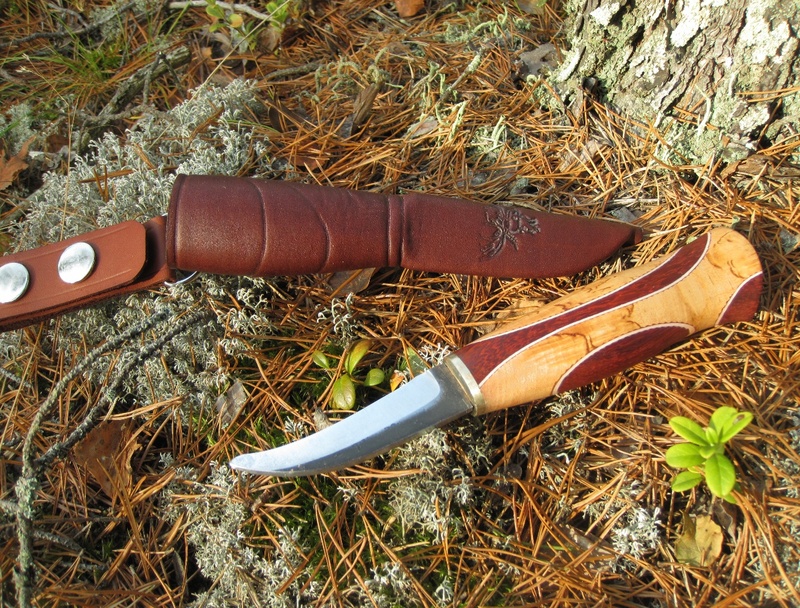 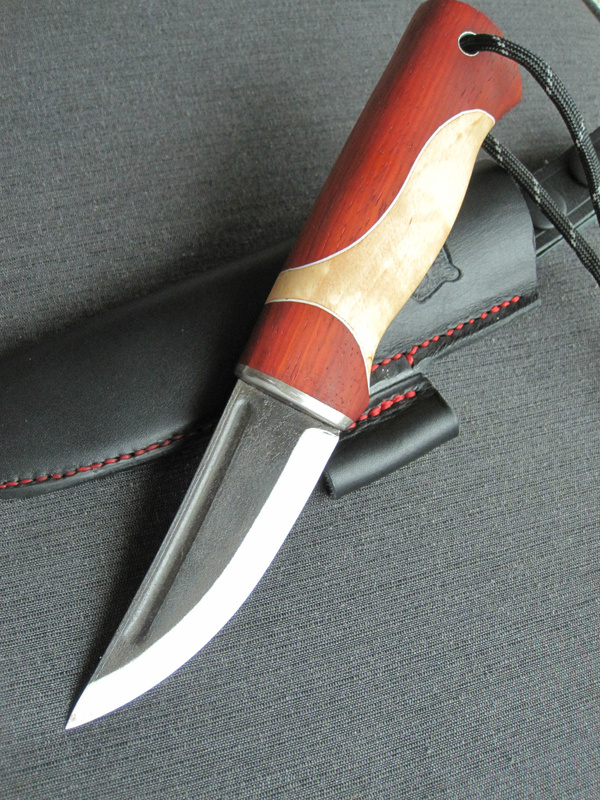 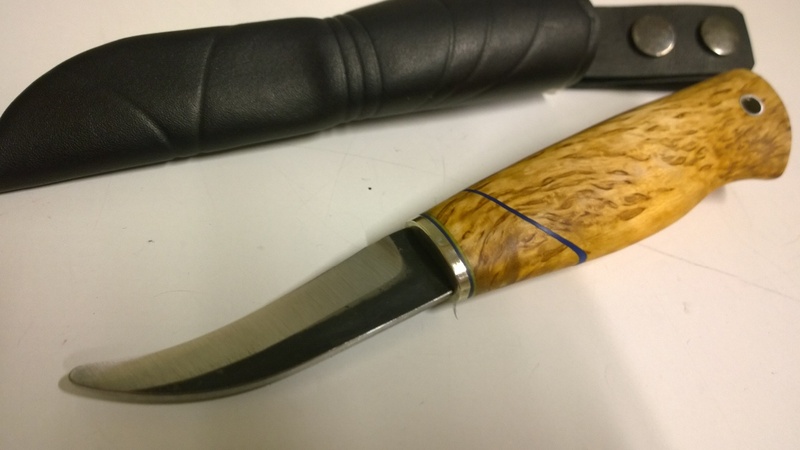 Yp small Leuku, laplander knife with oak handle and antler end plate. 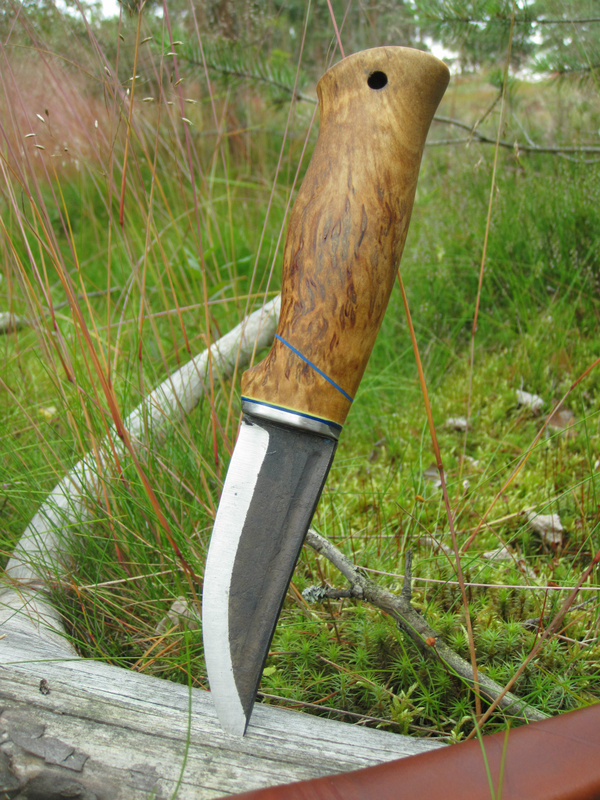 Lindsee oiled. 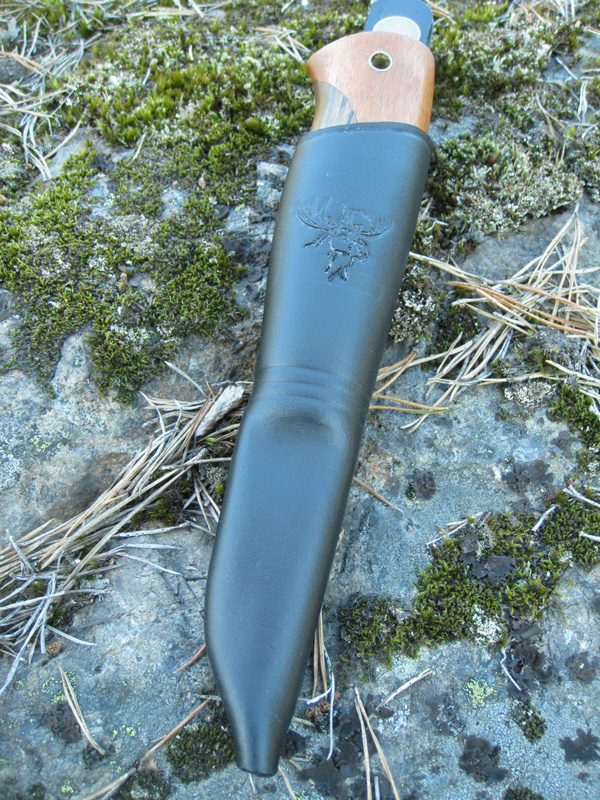 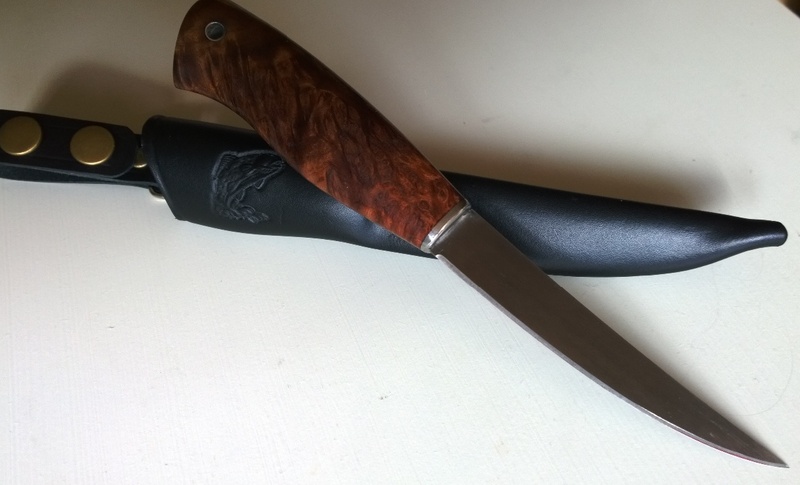 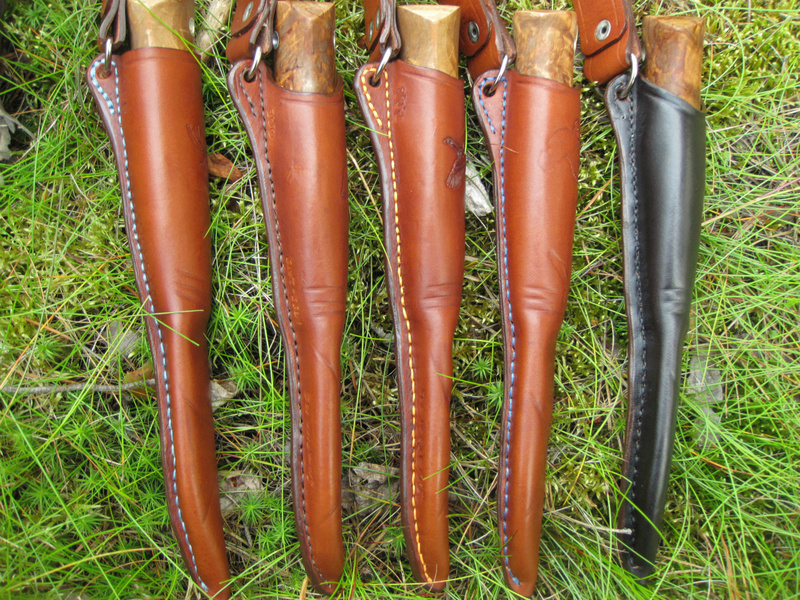 Field dressing knife, opening knife for big game. 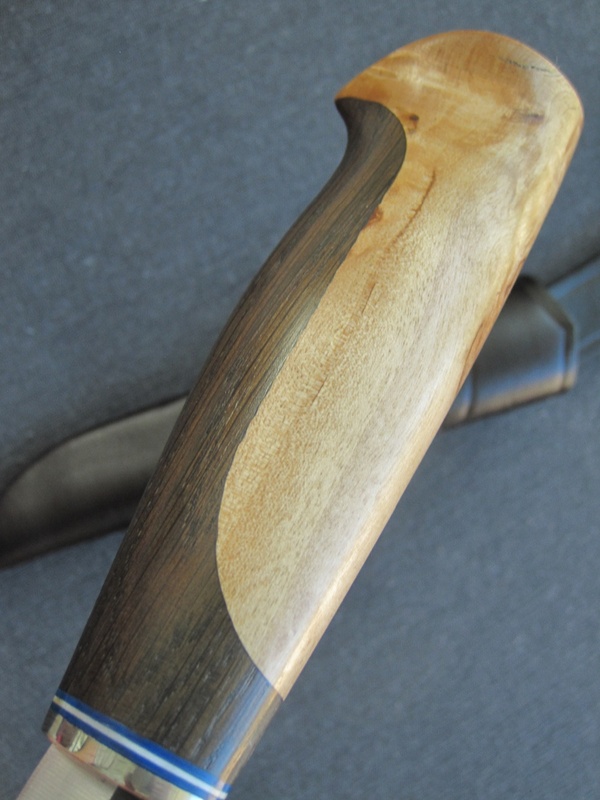 Special handle cut with two wood species. 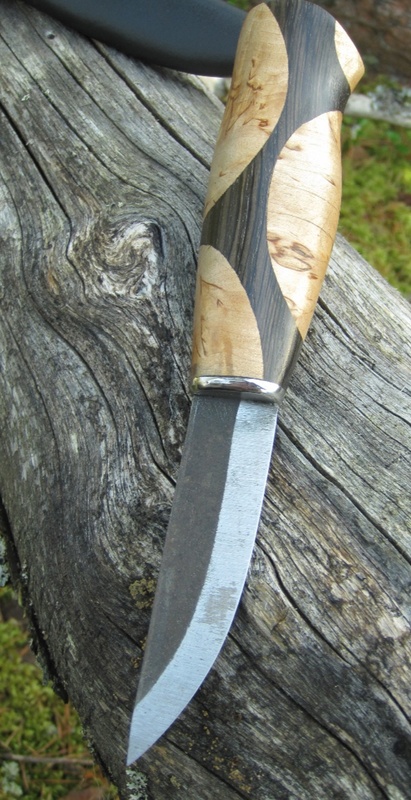 77mm carbon steel carving knife/ bog oak, curly birch. 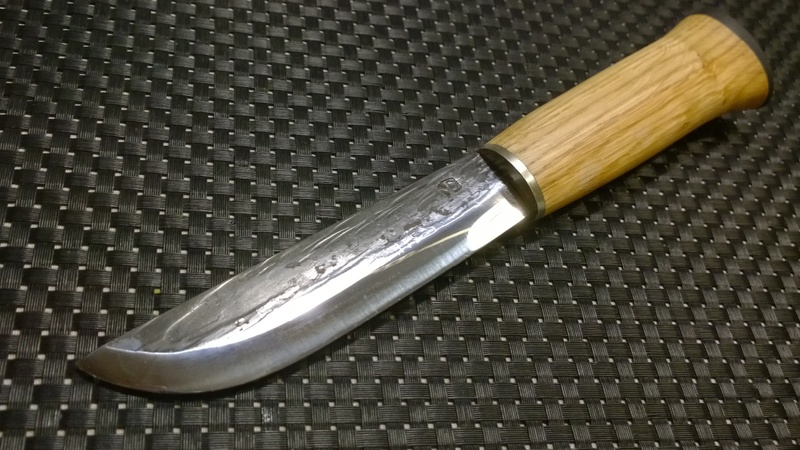 Roselli hunter 100mm carbon steel blade, curly birch, tar oiled.